Imagine you needed a heart operation and you were just about to 'go under the knife' when you found out the surgeon had killed every single former patient in the same operation you were to undergo. Would you still proceed or would you ask for another surgeon ? Chances are you would ask for another surgeon if you were told such a thing .. and thankfully in the medical world, there are plenty capable & qualified people who are not all a bunch of killers as some may put it so you might be in with a chance of finding the surgeon to your liking. However, what happens if you come to sell your house and the lawyer you are using makes a complete mess of the deal to the point you only get half the value or less of your property .. or even worse, you find out the lawyer himself or one of his business partners bought your house on the cheap through a fiddled deal ? What would you do if that happened ? 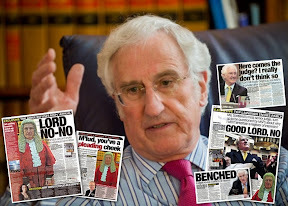 Would you try to find another lawyer to sort out the lawyer who ruined you ... or even try to take legal action against your former lawyer for fiddling your legal & financial affairs ? So the lesson is .. any other profession, or industry (minus perhaps accountants) where a professional mucks up the task you set them .. you can normally find another to put it right .. not with a lawyer though .. no .. not a chance. 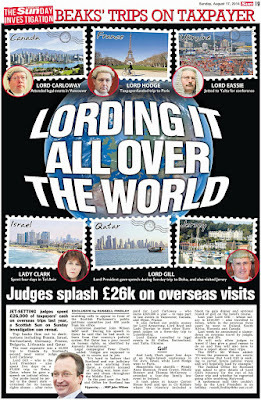 Try and complain against a lawyer after they have done you wrong, fleeced your finds, ruined your life .. you will find the legal profession itself will turn on you with a vengeance and ensure it is you who are the ruined one ... and oh my, there are just so many examples of that, it would take weeks to go through them all. 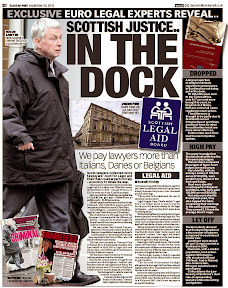 Suffice to say, lawyers don't sue other lawyers, and lawyers wont see their colleagues put out of their jobs, simply because they are crooks .. and with no way to find out how crooked your lawyer might be .. you are taking as big a chance going to a lawyer these days as you are attempting to walk blindfold across water. 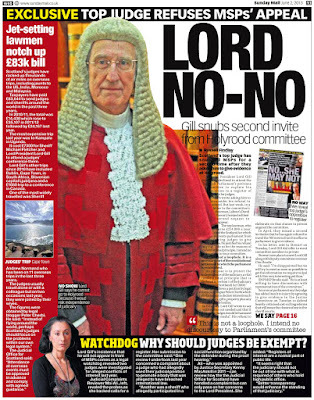 So, which of Scotland’s legal firms have client complaints ? Well the answer to that is of course, all of them. All legal firms and most or all lawyers have complaints made against them, in varying severity of course. 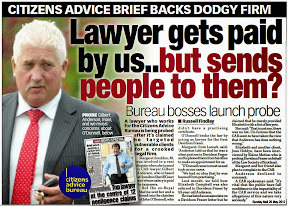 So, which legal firms or lawyers will tell you how bad they have been to clients ? Obviously the answer to that one is : None of them ! Not one ! Ever ! 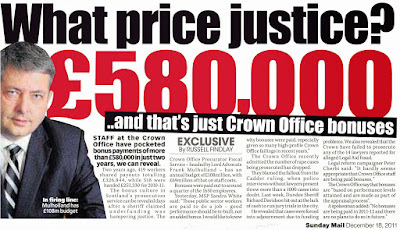 With the eventual opening of Scotland's legal services market, after Justice Secretary Kenny MacAskill's go slow approach lifts, there would of course be no need for the public to be forced to use any of Scotland's current framework of legal firms, because new entrants to the legal services sector could take a more honest approach, disclosing their full & up-to-date client service histories to all consumers .. something you will never find a Scots legal firm doing .. and I will tell you why. 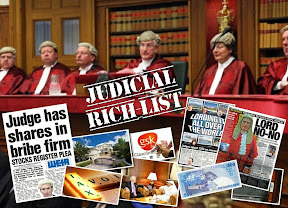 Earlier this week, in a conversation with a senior lawyer, the extent of negligence claims against solicitors in Scotland was brought home to me where I was shown details of cases showing in twenty 'big name' legal firms from one city alone, at least one of the partners had no less than five negligence claims made against them. 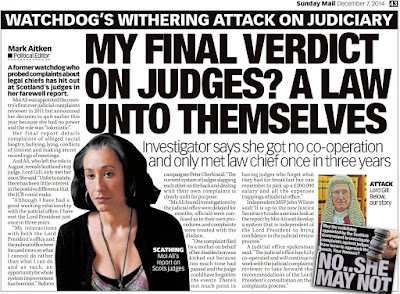 Unsurprisingly most of those negligence cases remain unresolved, some stuck in court after eight years, due to 'intervention' from the Law Society of Scotland which of course, the outgoing Law Society Chief Executive claimed did not occur. 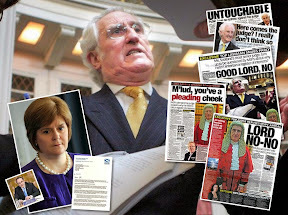 Douglas Mill – It wisnae me who fiddled cases against my fellow lawyers even though my memos say so ! 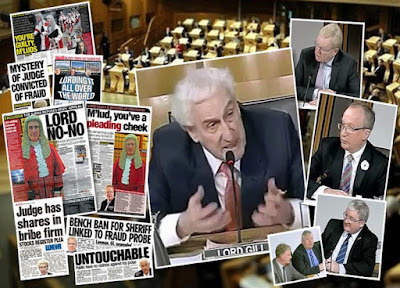 Yes .. before you say it, I do use that clip quite a lot .. but it is rather unique footage .. a Law Society Chief Executive lying to a Justice Committee over the content of his own memos and how he intervened in cases to stop people obtaining a measure of justice … even my own ! Now to get back to what I was saying, twenty lawyers from twenty legal firms with 100 negligence claims against them is quite a lot .. despite what the legal profession may have you believe. 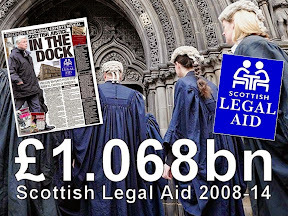 If you think of how many lawyers and legal firms there are in Scotland and how that statistic may repeat itself .. it must mean the Scots legal profession has a problem, to say the least. 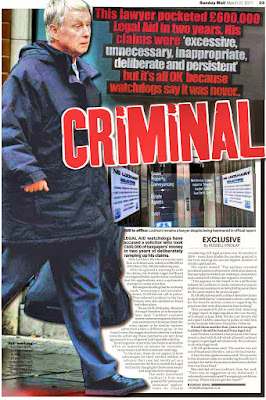 How indeed could anyone trust a 'big name' or perhaps 'brand name' legal firm again after that ? ... because really you don't know what you are getting when you go to them, despite the 'aura' of their 'name' and reputed proficiency .. which in reality does not exist. 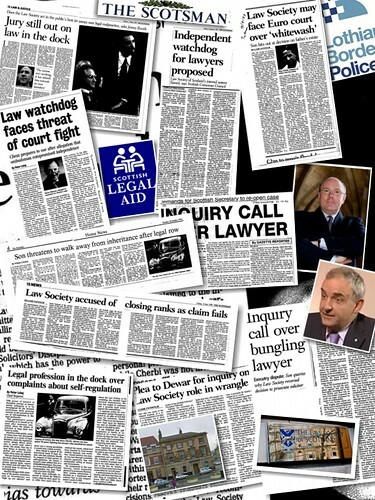 Here's an example of how one solicitor can build up a history of negligence claims ... in this case we are talking about over twenty negligence claims against one solicitor but it seems that five or ten negligence claims against just about any lawyer you could name are not unusual these days in Scotland - thanks to the way the Law Society of Scotland has poorly regulated the legal profession over the past few decades. 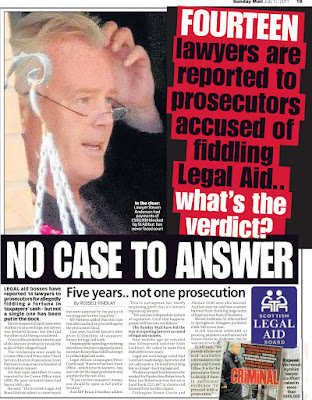 There are it seems, many lawyers almost equalling the above reported case walking around with the full support of the Law Society of Scotland, still offering their poor legal services to unsuspecting members of the public who don’t know one thing about the person they are about to commit the most important legal aspects of their life to. 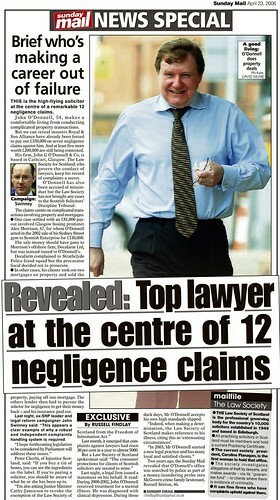 Would you use a lawyer who told you they had 21 negligence claims made against them for poor legal work ? Probably not ! What can you do to avoid these kinds of lawyers ? 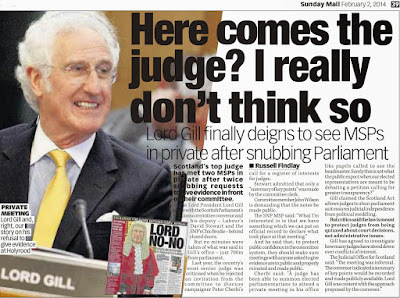 Well at the moment, not much .. because the Law Society certainly wont be disclosing any regulatory records to enquiring members of the public .. should they do, I doubt anyone in the country would use a Scots lawyer after that. You can, as clients, start insisting on seeing a lawyers regulatory record before you do business with them .. and really that isn't such a bad thing to ask or expect to receive, given the tasks you give a lawyer probably include or affect the most important details of your life. Put it this way .. plenty of you look at the ingredients on your packaged food before you buy it ... so why not look at the ingredients of your lawyer before you hand over the keys to your life .... and just because you might be buying into a 'brand name' legal firm, doesn't always mean you are getting good quality or the promise of a successful outcome. 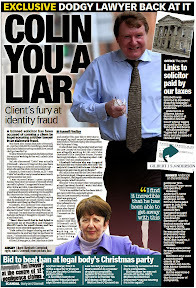 Here follows an article from this weeks Scotsman on 'brand awareness' in the Scots legal sector .. which perhaps you might want to question much harder before you take the plunge into legal bills and the inevitable poor legal service which seems to dog just about all litigation in Scotland these days. IT IS bright pink, it is bold, and it is unashamedly trying to generate new business from female clients. Pagan Osborne's recent Beauty Secrets marketing campaign – which offers to "smooth out frown lines" and "reduce dark circles" by easing the stress of life's big decisions – is something of a departure for a law firm with 250 years of tradition. But, according to Tania Hemming, Pagan Osborne's marketing and business development director, the campaign is just a taste of how law firms might look to promote themselves in an increasingly competitive marketplace. As the UK economy slows and the regulations governing legal services look set to be relaxed, Hemming says that firms will have to look at their branding. "Our market is changing and because of alternative business structures, we are going to have to change the way we communicate," she says. "People buy very differently these days, and I think the profession has, sometimes, a quite stuffy image. "Our campaign was such a shock when it came out – it's bright pink, it's a very strong female image, and it's not what you would expect. But you have to talk to clients in the way they want to be talked to." Hemming had the idea for the recent marketing campaign – which invites women to meet the firm over coffee at Edinburgh style bar Tigerlily – after recent reports suggested women were often the financial decision makers in the household. She says Beauty Secrets is already bringing in new business and has inspired plans for future campaigns. According to Nathan Fulwood, the business development manager of web design agency Realise, whose clients include Pagan Osborne, Drummond Miller, Dickson Minto and the Law Society, more firms in the sector are recognising the need to create a stronger brand, particularly online. "We're seeing that there is a willingness from solicitors to think differently about their presence on the web," he says. "For instance, there is an openness to borrowing experiences from other sectors, particularly in terms of embracing concepts of customer journey and life scenarios to engage clients on a more emotive level, not just on a 'need' basis." He continues: "The use of the web has changed from purely brand promotion. Some (firms] have successfully used websites to disseminate information and knowledge and so establish a leadership position which drives people to them. "Others increasingly recognise that the website is more about the person visiting the website and less about the firm itself. "The web is now the place where the customer searches for services, including legal services. Therefore any solicitor has to have a distinctive presence online if it is going to have a competitive edge." 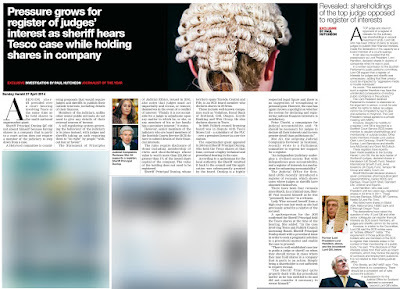 Donald Shaw, managing partner of Dundas & Wilson, agrees that the changing legal market will require firms to reconsider how they communicate to prospective clients, rather than relying on tradition or quality. "In a large, diverse market like legal services, a favourable perception of your reputation or brand leads to more opportunity," he says. "It's important to us that we build on our reputation as a market leader and so we're very careful to ensure the DNA of the great things our business stands for is reflected in everything we do. "A changing legal services landscape means that law firms need to adapt to compete. Quality of service will continue to speak for itself, but it's more important than ever to ensure the market knows who you are and what you can offer. 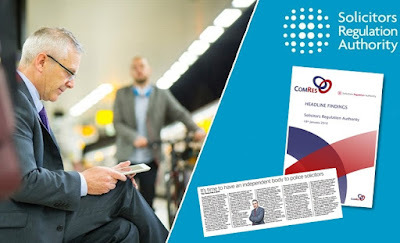 "Smaller firms in particular may have to face up to the prospect of focused consolidation, especially if highly effective companies such as Tesco seriously enter their market." But Shaw cautions that branding can only go so far: "Having a brand is a safeguard, but only if you can be seen as having a strong consistent and different proposition – the trade-off being that smaller independent practitioners, used to autonomy, will need to work in a much more consistently branded and organised way to maintain any kind of market presence." Dianne Paterson, a partner with Edinburgh-based Russel + Aitken, says her firm has recently launched a new marketing campaign – "Bringing the Law to Life" – that focuses on the legal services clients will need throughout their lifetime. "The campaign, through innovative products and events, simply enforces the message to our clients and the public that we are not only one of the market leaders in this field but that we are also delivering these services to our clients in an energetic and engaging way," she says. "Not only are people coming in to our offices for such advice but we are going out to the people and are currently involved in a series of road shows to promote our services. "However, we are strongly of the view that you cannot simply invent a brand. It must be built up over the years from a good solid foundation and have good products at the heart of it." Traditionally, legal firms were restricted in how they advertised themselves, with practice rules preventing firms from comparing themselves with others on fees or services. The rules were relaxed by the Law Society in 2006, allowing firms to compare themselves with rivals for the first time. The society itself has recently recognised the importance of marketing, and unveiled its own re-branding earlier this year. A spokeswoman for the Society says the new brand has created consistency and a "stronger and clearer image". She adds: "A brand is a representation of an organisation and as the Society is currently going through a period of change and modernisation, creating a new brand helped reflect that." But not everyone in the profession sees the need to change direction in relation to branding and marketing. Louise Kean, the head of communications at Turcan Connell, says the firm will be sticking to its existing marketing plans. "Looking from the perspective of our clients, both existing and prospective, we need them to know that we are here for them, continuing to provide a service that they need in these uncertain times," she says. "Now more than ever, they need professional advice which gives them a sense of confidence that their affairs are in good order. So it's the consistency of our message that is crucial at this time. 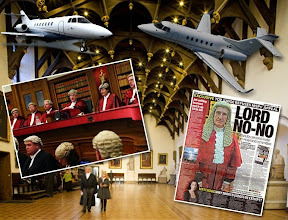 For ever and a day, the Law Society of Scotland has been exempt from any law which would or could have helped clients who were or who are still having difficulties with their lawyers. 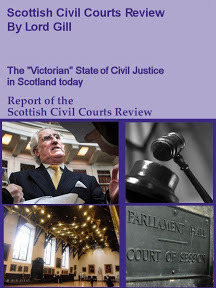 Currently, even though we are about to enter a world of 'dual regulation' where the legal profession and an 'independent' commission will regulate Scotland's 10,500 solicitors, the Law Society remains exempt from key areas of legislation such as Freedom of Information laws, which have proved so valuable in dealing with not only errant professions & industries, but also a few wayward politicians along the way. 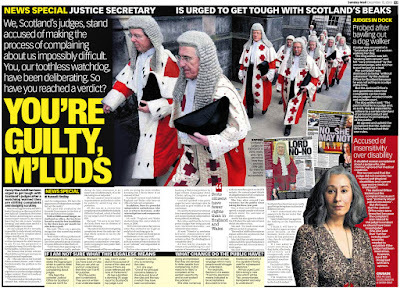 The Law Society of Scotland, however, is unsurprisingly content, to the point of seeing to it that, it retains it's FOI exemption, lest some client use it to disgrace the legal profession (again) for covering up its dirty laundry as it has done so frequently and successfully in the past. The twists & turns of the Law Society in Data Protection requests over the years, have demonstrated as much, with no useful information ever leaking out to a client who had a complaint against a solicitor being investigated .. or for that, anyone who had tried to investigate the way the Law Society operated. 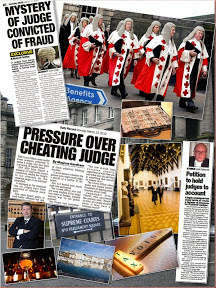 Understanding now why the Law Society of Scotland must be brought within the unlimited scope of Freedom Of Information legislation, one must reflect on the progress of legislation passed in 2006 which was brought in to clear up some of the damage the legal profession has done itself over the many years lawyers have investigated their own. 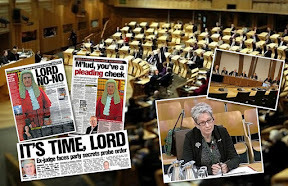 Two years ago this summer, the Legal Profession & Legal Aid Bill rumbled through the Justice Committee of the Scottish Parliament, amid threats of legal action from the Law Society to kill it, and even threaten the Parliament itself if the 'crooked lawyer' busting legislation was passed into law. 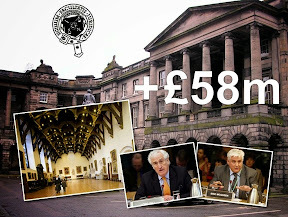 Despite the many problems the legal profession made for the LPLA Bill, and the many amendments thrown up from politicians who were so obviously in the pocket of the Law Society, the legislation was eventually passed by the Scottish Parliament during late December 2006, after some of the stormiest of Committee hearings ever relating to a new act of the Scottish Parliament - one such now famous televised meeting showing the Chief Executive of the Law Society of Scotland himself lying to all & sundry over not only his personal involvement but also Law Society policy on complaints and client claims against Scottish solicitors. 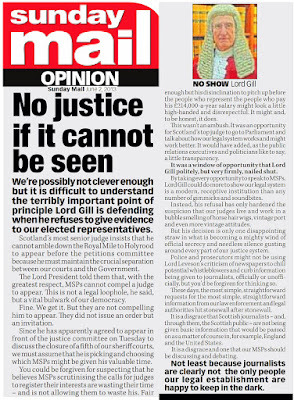 Law Society Chief Executive Douglas Mill telling a few lies to the Justice Committee & John Swinney at the Scottish Parliament. We are therefore now in a 'new era' supposedly, with the looming start of duty for the Scottish Legal Complaints Commission on 1st October 2008, which is allegedly going to give Scottish consumers of legal services a new layer of consumer protection against the infamously poor levels of legal services in Scotland, which nowadays seemingly illustrate that most clients come undone at some stage in their dealings with the legal profession. 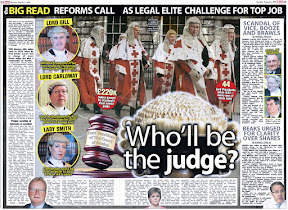 This 'new era' however, has already been dampened down by what appears to many as a Law Society 'take over' of the new 'independent' Scottish Legal Complaints Commission by way of not only transferring it's staff to the new body .. also transferring many of it's Committee members to key positions within the SLCC .. .positions which are likely to ensure there are no conflicts generated between the 'independent' regulator and the lawyers own version - the Law Society of Scotland, who will continue to regulate conduct complaints, while the SLCC it is claimed, will focus on 'service' complaints. 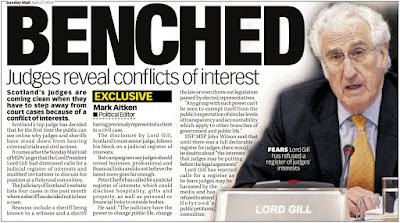 So, we will have two regulators of the legal profession on 1st October 2008, but only one of those regulators will be forced to comply with Freedom of Information laws - that being the Scottish Legal Complaints Commission. 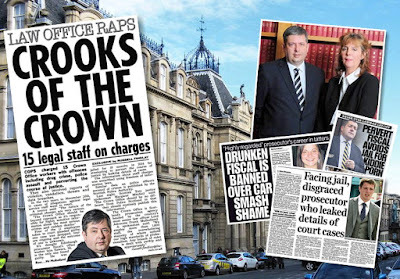 The Law Society of Scotland, will for now at least, until the Justice Secretary Kenny MacAskill decides to do something, continue to be immune from FOI legislation, so it can carry on being as secretive and corrupt as it has been for all the decades poor members of the public have been forced to deal with it. 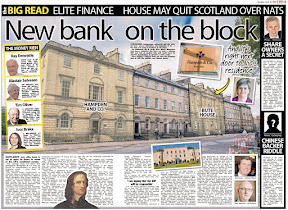 Since we are now in late July 2008, I would have thought by now, the Scottish Government would have done something on this matter - because there has been enough advance warning the two regulators will exist side by side, one FOI compliant, one not ..... so why the wait ? 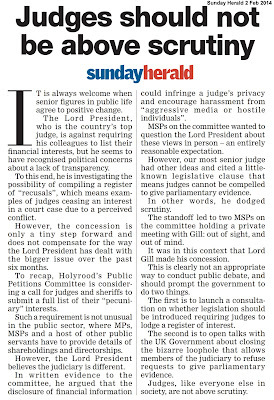 is it perhaps because the Law Society is bargaining hard with the Scottish Government to retain certain exemptions so it can go on giving consumers of legal services a raw deal, sanctioned by the Government itself ? Cathy Jamieson : Reviewing the FOI Act - we might do something .. 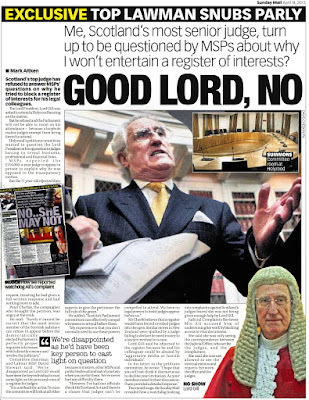 Here is an article I wrote at the time on this issue : Law Society of Scotland & Freedom Of Information - End the Exemption Now. 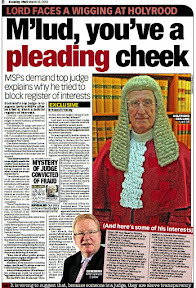 Kenny MacAskill : To be or not to be ... Should we make lawyers FOI compliant or not ? 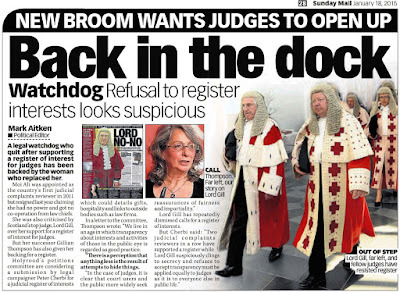 Two years is a long time to wait, and with there only just over two months before the new Scottish Legal Complaints Commission takes up it's regulatory duties on complaints against solicitors, surely its time to make the Law Society FOI compliant, rather than continue to deny consumers the levels of protection they have in other 'required' services .. not to mention giving the public the right to inspect and question the way the legal profession regulates itself in a way which must be allowed to ensure much higher levels of honesty accountability and transparency which have never been seen before in Scotland's legal profession. 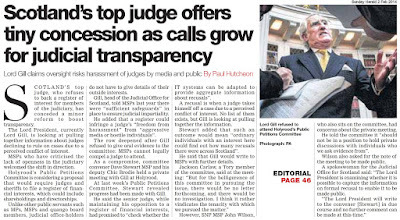 What could there be to gain from allowing the Law Society of Scotland to remain exempt from Freedom of Information legislation ? …. Nothing honest, that’s for sure ! 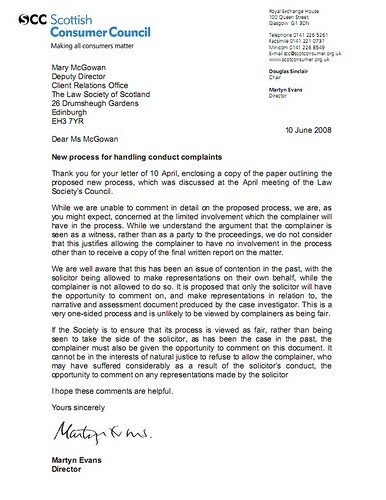 After my earlier article featuring correspondence from the Scottish Consumer Council to the Law Society of Scotland on the subject of the lack of client involvement in the complaints process under the new procedures for conduct complaints after 1st October 2008, the revelation of a new letter from the Law Society, mysteriously dated one day before the letter from the SCC Director on the same subject, document a climb down from the Law Society on removing clients from much of the complaints process. 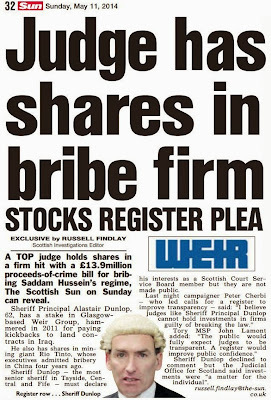 Coincidence some may call it, but those in the know are well aware that coincidence is non-existent when it comes to all things law in Scotland, and particularly all things involving the Law Society of Scotland, who are determined to maintain control of the complaints process against lawyers for themselves. 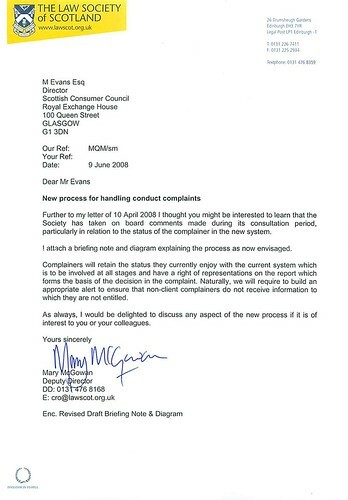 "Further to my letter of 10 April 2008 I thought you might be interested to learn that the Society has taken on board comments made during its consultation period, particularly in relation to the status of the complainer in the new system. I attach a briefing note and diagram explaining the process as now envisaged. Complainers will retain the status they currently enjoy with the current system which is to be involved at all stages and have a right of representations on the report which forms the basis of the decision in the complaint. Naturally, we will require to build an appropriate alert to ensure that non- client complainers do not receive information to which they are not entitled." 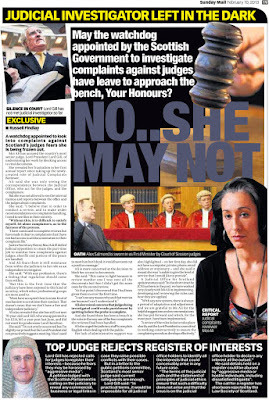 As I have reported in earlier articles, the submissions made by solicitors themselves directly to the Complaints Committees have often turned a complaint decision on it's head against clients .. with clients unable to get hold of the solicitors representations, due in many cases it seems to the highly personal and defamatory content of them, the Law Society considering their release far too dangerous for the legal profession as a whole. 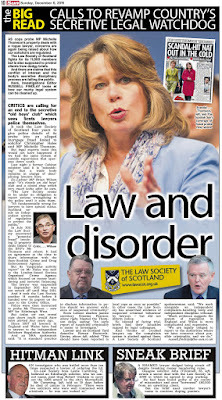 The Law Society is of course, trying to make the best of things, but all the while ensuring they retain control of the complaints process, and the Society has definitely achieved hat, with many of their former members of staff now working at the Scottish Legal Complaints Commission, and several Law Society Committee members appointed to either "lay" or key professional positions within the SLCC itself. This will be the Society’s reception point for complaints. The Scottish Legal Complaints Commission will exercise the gateway function in respect of all complaints. Some complaints will involve both service with the commission and decide by whom and in which sequence such complaints will be handled. Once complaints are remitted to the Society, they will be investigated. Both the process and merits of a case will be handled by a Society employee known as a Complaints Investigator. This investigator will have access to a panel of experts should that be required. Investigations will be conducted according to a flexible investigation plan, approved by the investigator’s Line Manager. 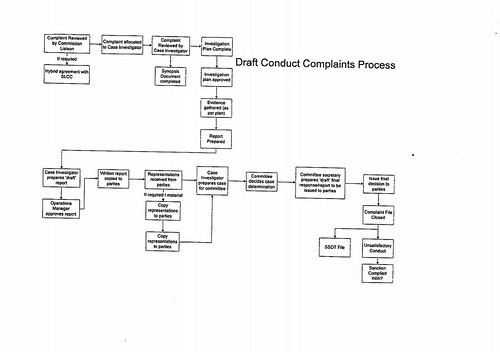 The Complaints Investigator’s job is to gather information in an appropriate way to build up a picture of the complaint and it’s context. 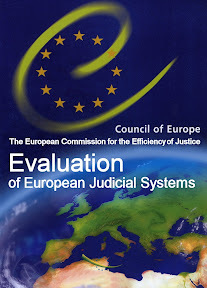 Once all information is ingathered, the Case investigator will prepare a report which will set out a precis of the complaint; a summary of the investigation; a narration of the facts found; an indication as to whether the conduct constitutes professional misconduct, and satisfactory professional conduct or neither and, lastly, a recommendation as to action to be taken. Where the complainer is a client, a copy of this report will be forwarded to both parties for representations. Where the complainer is not a client, the Society must be careful not to disclose any confidential information. Once representations have been made on the report, a set of papers will go before a committee called the Professional Conduct Committee which will take a decision on the complaint. The Society’s role where professional misconduct is concerned is investigatory only. If the Professional Conduct Committee is satisfied that the complaint appears to amount to professional misconduct, then its only power is to prosecute that complaint before the Independent Solicitors Discipline Tribunal. It cannot take a decision of professional misconduct itself. Either party has the right to appeal against a decision of unsatisfactory professional conduct to the Scottish Solicitors Discipline Tribunal. 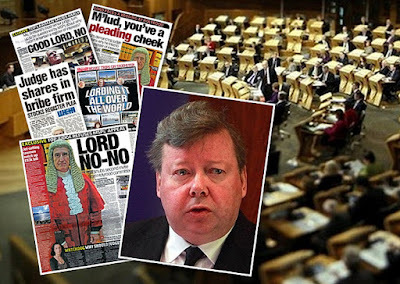 In addition, the complainer only has a right to refer any dissatisfaction with the handling of the complaint to the Scottish Legal Complaints Commission which will adopt a role similar to that of the Ombudsman in the present system. 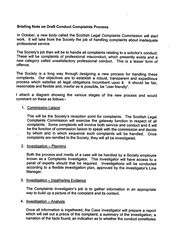 Essentially nothing much has changed from the Law Society in terms of how they regulate complaints against their own members - in fact, it looks now as if Conduct Complaints are going to be one of the ways in which the Law Society may well attempt to get lawyers in trouble 'off the hook' if caught on serious service issues which the SLCC might be brave enough to investigate - but only perhaps after serious media pressure to do so. 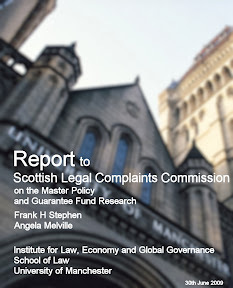 Overall, the recent changes and adjustments made by the Law Society of Scotland to complaints procedures, end up clearly showing the problems of having a dual regulation system for Scotland's legal profession where there should of course only be one, and a fully independent regulator for legal services at that. 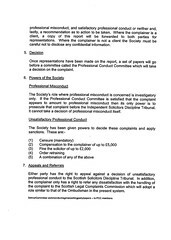 Continuing the role of the Law Society of Scotland as a regulator in any shape or form will only bring lower levels of public confidence in Scotland's legal profession, which have currently hit rock bottom - and the spectacular infiltration of the Scottish Legal Complaints Commission by the Law Society itself will do nothing for clients rights or increased consumer protection against rogue solicitors, of which there are now more than there should be, due to the Law Society’s poor management of Scotland’s legal profession over the years. 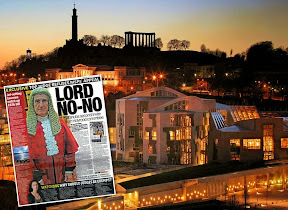 In an effort to regain some control over the expected uncontrollable rising numbers of complaints against Scottish solicitors, the Law Society of Scotland has embarked on a little talked about series of adjustments to complaints procedures & reduction of client's rights in dealings with lawyers in an effort to regain the high ground over consumers of legal services in Scotland. 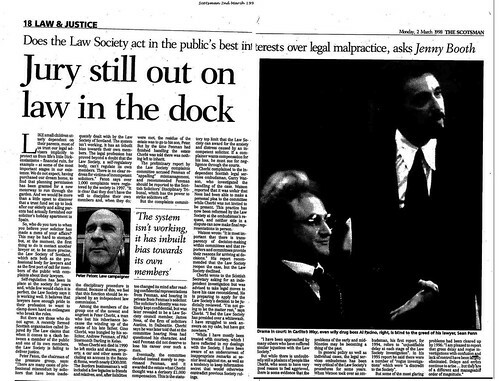 The Law Society has, decided to bring back the bad old days of complaints whitewashing, where a client who had complained against their solicitor had little or no part in the actual investigation & consideration of the complaint by the Law Society's infamous Complaints Committee structure, where lawyers had commonly put forward personal submissions either from themselves or their very own Law Society representative before the Committee, while the client of course, had no such luxury or entitlement. 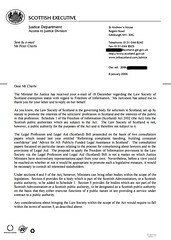 There can be little doubt in this move, the Law Society wishes to retain full control over complaints against solicitors, and the client’s ability to gain access to justice to resolve any difficulties brought upon them by their less than honest or competent legal agents and no doubt the raft of whitewashing from the Law Society itself. 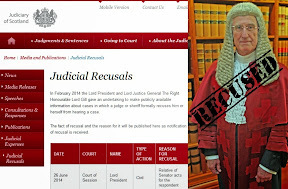 I myself experienced a version of this procedure, where James Ness, the now head of "Law Care", which specialises in dealing with stressed out crooked lawyers, put forward secret submissions for Kelso solicitor Andrew Penman of Stormonth Darling Solicitors, which I was not allowed to see or reply to. 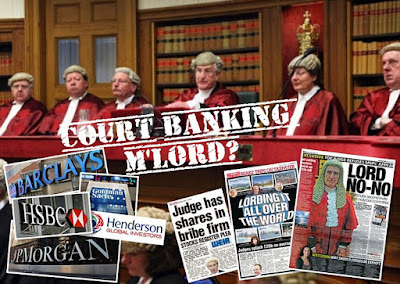 The secret submissions in the Penman complaint then forced the Complaints Committee to change their original decision to prosecute Penman over an unbelievable wide range of frauds found by one of the Law Society's own investigators, which included deceiving Banks, the Inland Revenue, myself, other beneficiaries on legal & financial information relevant to Mr Penman’s woefully poor and rather dishonest legal service provided to my late father’s estate, even going so far to fiddling & falsifying files in an attempt to cover up his actings. “While we are unable to comment in detail on the proposed process, we are, as you might expect, concerned at the limited involvement which the complainer will have in the process. 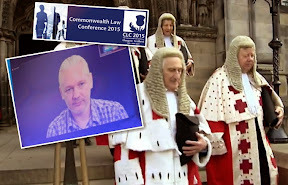 While we understand the argument that the complainer is seen as a witness, rather than as a party to the proceedings, we do not consider that this justifies allowing the complainer to have no involvement in the process other than to receive a copy of the final written report on the matter. We are well aware that this has been an issue of contention in the past, with the solicitor being allowed to make representations on their own behalf, while the complainer is not allowed to do so. It is proposed that only the solicitor will have the opportunity to comment on, and make representations in relation to, the narrative and assessment document produced by the case investigator. This is a very one-sided process and is unlikely to be viewed by complainers as being fair. 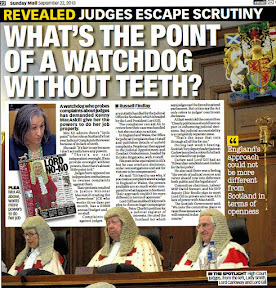 Certainly a good thing the Scottish Consumer Council have taken this issue on board, and scanning through my own work on this matter over the years, I note the Scottish Legal Services Ombudsman of the time, who investigated how the Law Society of Scotland whitewashed the Andrew Penman complaint, recommended that solicitors should be banned from making personal submissions in the future as was made for Andrew Penman ... because as I found out from further revelations of the 'Penman submissions', it seems such submissions are usually full of lies and accusations against clients in a desperate attempt by 'crooked lawyers' to get themselves off the hook. 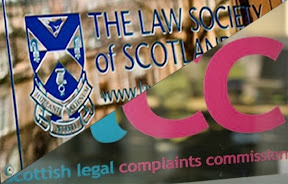 However, not content with reducing clients rights in terms of involvement in the complaint itself, the Law Society of Scotland has went one step further and reduced the time limit which clients have to complain against a solicitor from the current two years to one year - claiming this 'little talked about' alteration will "help clients" rather than hinder their ability to raise a complaint over poor legal service or conduct in the future. 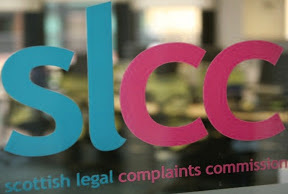 "The new Scottish Legal Complaints Commission will be able to award four times as much in compensation where cases are found against a solicitor as the Law Society of Scotland, but there's no point hanging on until October to bring your case in the belief that you’ll get a better outcome under the new SLCC. "Any complaints relating to work handed to a solicitor for the first time up to and including 30th September 2008 will still be dealt with by the Law Society, which will continue to handle all pre October 2008 cases right up until 2010. "We accept that there has to be a cut-off and that the Law Society needs to be able to manage the transition of its work to the new body. 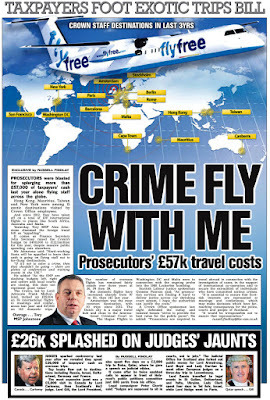 It's not ideal, though, as there will be cases where solicitors are instructed before October but problems only arise or become apparent long after that date, where clients may be justified in expecting their case to be dealt with under the new, potentially more generous SLCC system."